(a): This machine is best suited for various trades such as pharmacy, hospitals and foods, which is used to count quantity about capsules, pills and granule. 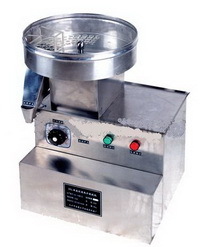 (b): This machine is made of stainless steel material, which has a small volume, light weight, accurately counting and convenient operation. (c): The touching surface of materials is made of stainless steel material; it is the best ideal equipment of counting products for various bottling, packing bags and filling. A. 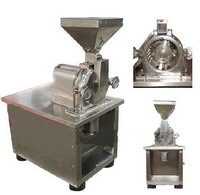 This machine is an idea product which is applied in small scale pharmaceutical factories, medicament department in hospital, and medicine research institutes. B. The transmission part is used the sway needle wheel with long working life and running steadily. C. The operation is very nicety and having synchronically characteristics, clear cross hatching, changing model conveniently. D. This machine is the best suited for sealing the products by aluminum and plastic, including: capsule, pills, food, chemicals and electric component.